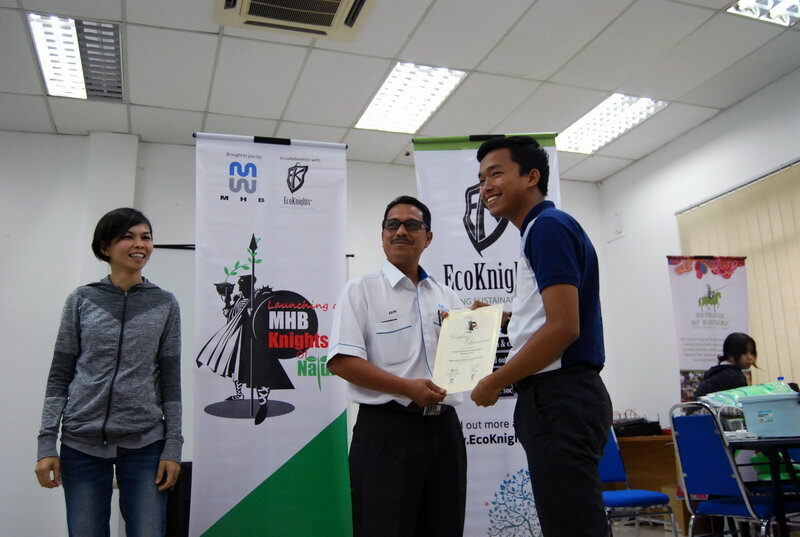 16-17th November, MHB Training Centre, Pasir Gudang, Johor – MHB, together with EcoKnights, collaborated to organize the 3rd Johor Knights of Nature Sustainability Camp. 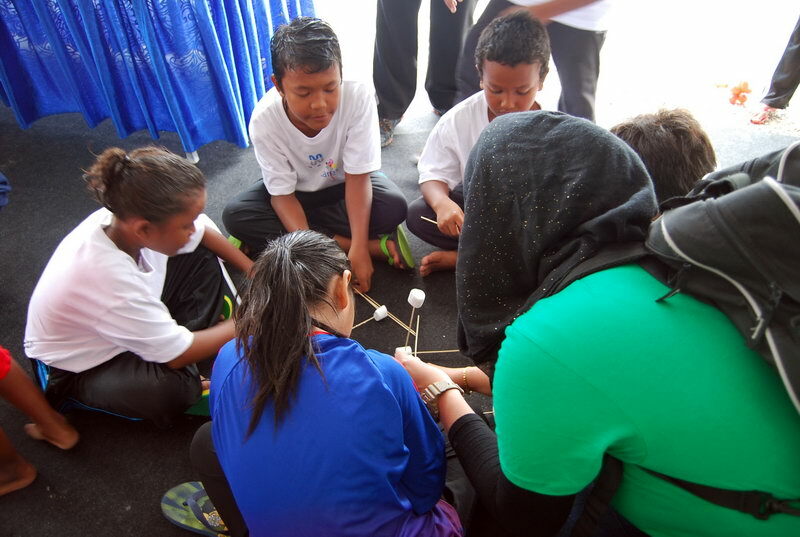 The Knights of Nature Sustainability Camp is a flagship program of EcoKnights which has been organized in the last three years and aims to inculcate environmental awareness and to also help out the Seletar indigenous community in Pasir Gudang. 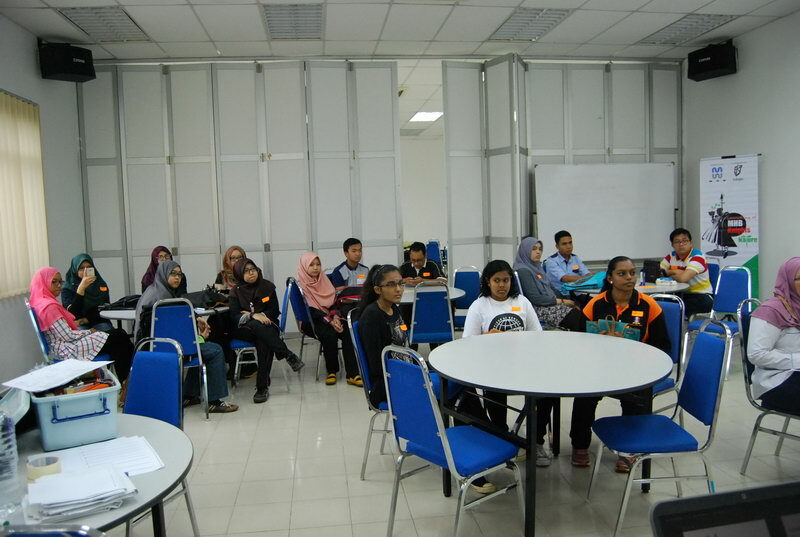 A total of 15 students, ranging from SPM graduates to degree pursuers registered for the camp. A handful of them were also sons and daughters of MHB staffs meanwhile another handful represented Universiti Teknologi Malaysia Johor to participate the camp. The students came from different varieties of course backgrounds but got along well with each other. The camp was designed to be a two day camp at the training center in MHB and also the village of Seletar located in Kampung Pasir Putih. The students and facilitators had their activities and discussions in the training center; and their presentation and exposure at the village, among the MHB staffs and the Seletar people. 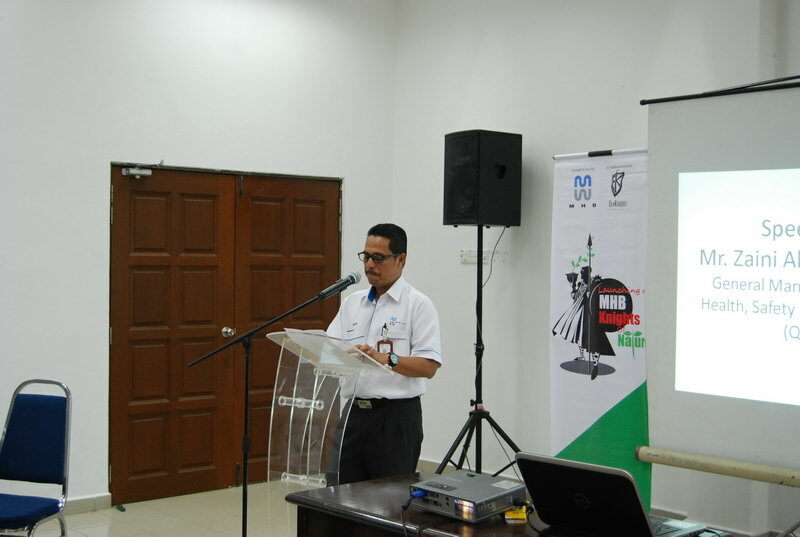 Day one started off smoothly with an introduction speech by Mr. Fadly Bakhtiar, the programme director of EcoKnights and followed by Mr. Zaini Abdul Rahman, the general manager of Quality, Health, Safety and Environment of MHB. Apart from that, one of the student was actually a previous volunteer for EcoKnights and did her part of sharing up front for the other new attendees as well. 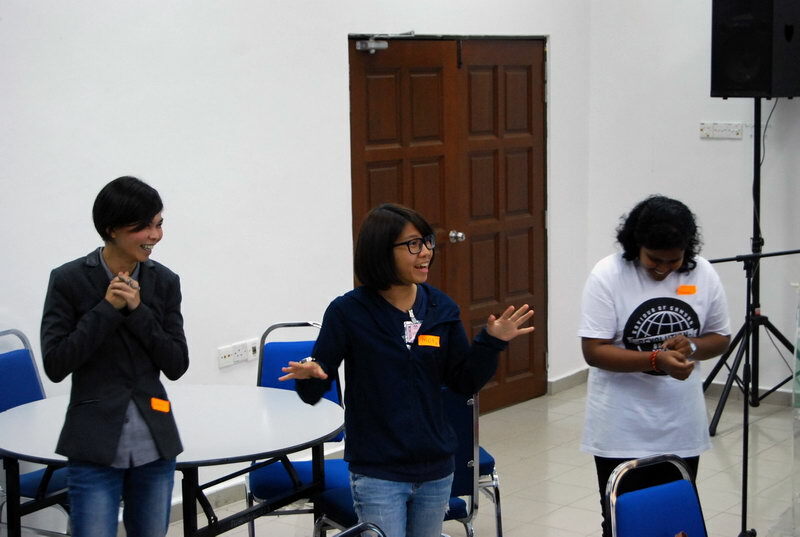 The day carried on with programme intern Mok, taking the lead of performing several ice breaking sessions. The students were into the activities and gave their full attention and shown enthusiasm. The session turned out well as both facilitators and participants managed to know each other and even remember each other’s names. 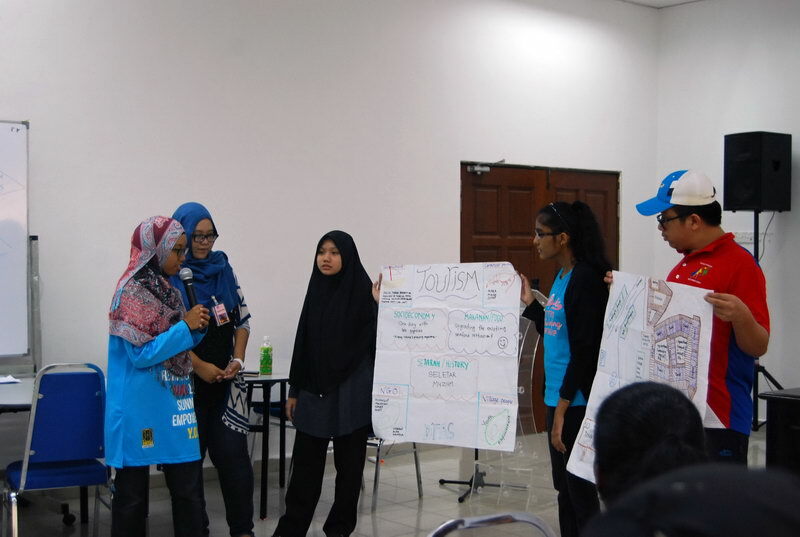 Apart from that, Mok also planned an activity which allowed everyone to share their future plans and goals. After the ice breaking session, Mr. Amlir Ayat, EcoKnights’ advisor stepped in to give a detailed presentation and history of the Seletar indigenous community. He explained about their past glories of the Seletar people help protected the Southern seas of Malaya and their devotion to the sea. Amlir also pointed out the struggles and hardship the community is currently facing in the present days and asked the participants to lend in their ideas to help the community in any way possible. 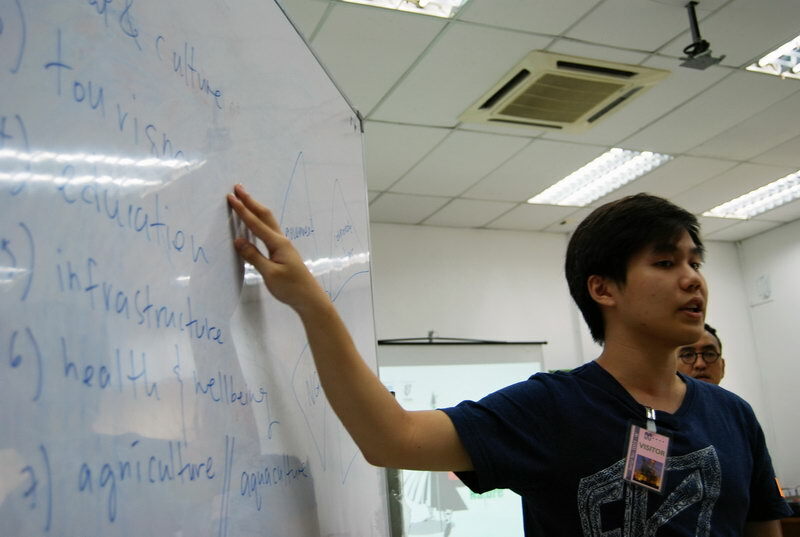 After his talk, Amlir had a quick Q&A session to answer the participants’ curiosity towards the Seletar community. 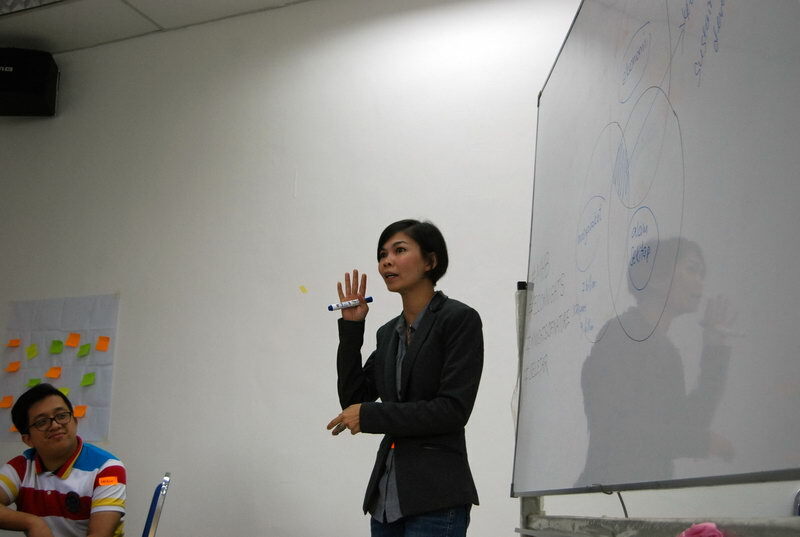 Ms. Yasmin Rasyid, the president of EcoKnights then gave her workshop about the environment, economy and society. 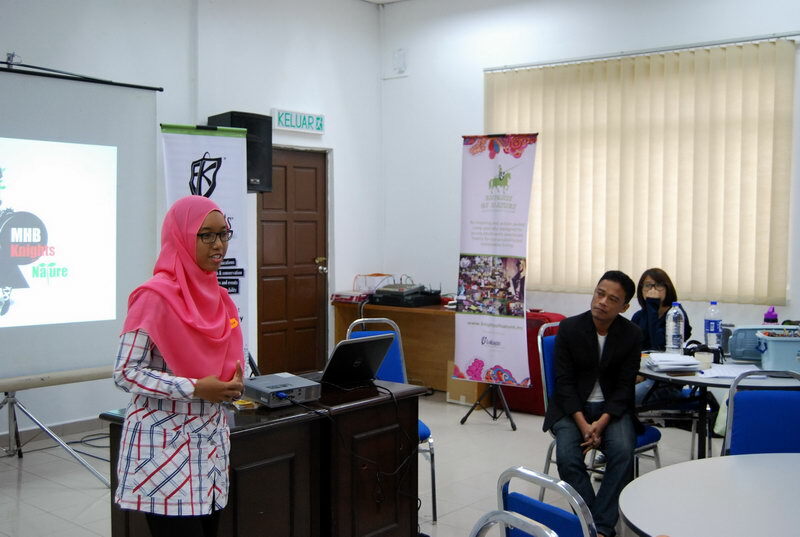 She gave insightful tips and plans in relation to the environment which was well received by the students. Yasmin then plan a quick activity which made the students discuss and plan out ideas in relation to their workshop. The participants shared their ideas and were well received by others. 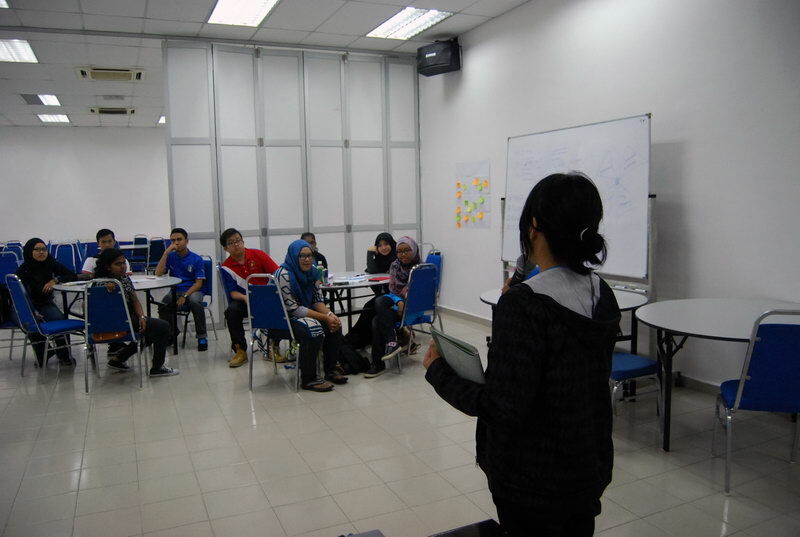 As Yasmin finished her workshop, EcoKnights intern Jian Wen then came in to brief out the main assignment that was needed to be conducted by the participants. The students were required to plan out a programme/idea which will benefit the Seletar people in terms of a category and several bodies. Three groups were formed out of the 15 participants and the categories selected were economy, tourism and social & culture. The participants were then asked to discuss their research methods on how to gather information for their assignment when they have a field exercise at Kampung Pasir Putih. After an hour of discussion, a bus came to pick everyone up to be brought to Kampung Pasir Putih. The students had a warm and playful welcome by the children of Seletar as they went to meet the Seletar village head, Tok Entel. The participants went around the village and had fun with the kids. They also had a dialogue session with several Seletar folks to know their conditions better and what was needed for their assignment. End of Day 1 approaches where they boarded back the bus to be sent back to the training center. The group exchanged thoughts with one another and had a quick summary of their research before calling it a day. The participants expressed their thoughts of how unfortunate these people are despite being well respected during the past. The first day ended with a distribution of certificates to the participants who had attended the camp. The certs were given to the students by Mr Zaini and accompanied by Yasmin. On Day 2, Fadly greeted and gave a quick recap of their assignment and a brief explanation of the remaining itinerary for the day. 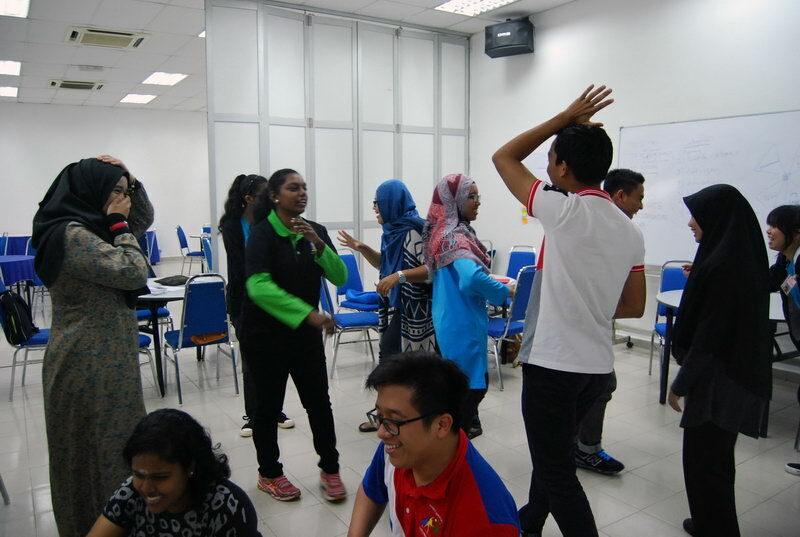 Then, led by Mok and Fadly, they prepared a quick warm up activity session to liven and loosen the participants up. After that, they continued back to their assignment with the help of EcoKnights intern Shi Min giving them the details to manage the assignment. As for the assignment, they were given two hours to plan out their entire program and to be presented with mahjong papers. 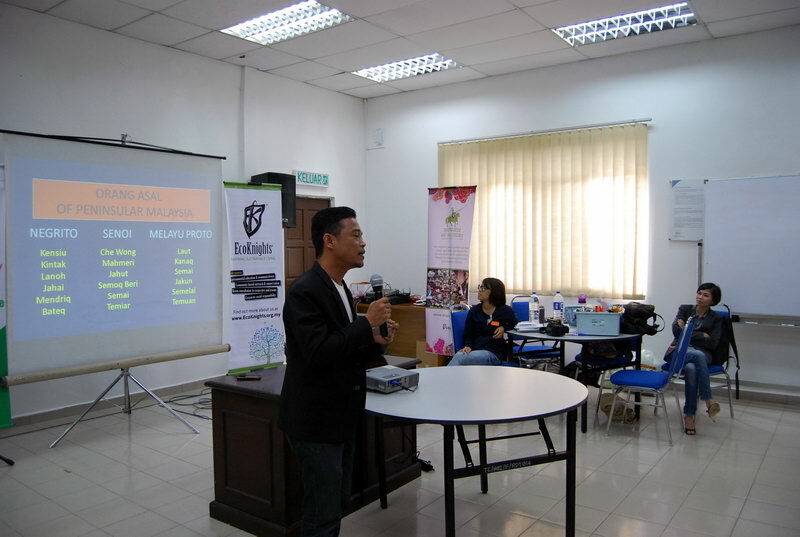 Amlir and the other EcoKnights interns were there to guide and give advices to the participants which helped them. The three groups then gave a simple presentation as practice to Amlir to find out their flaws and what was needed to be amended. Amlir finds their ideas very practical and applicable but also pointed out areas of improvement. Overall, the assignment was successful and the participants enjoyed working together and bonded well with each other. After lunch, they set off to Kampung Pasir Putih again but this time, MHB will be having an open day on the site. The open day had varieties of booths for people to participate, especially the kids of Seletar. From medical booths to game booths, all the booths were packed with visitors. 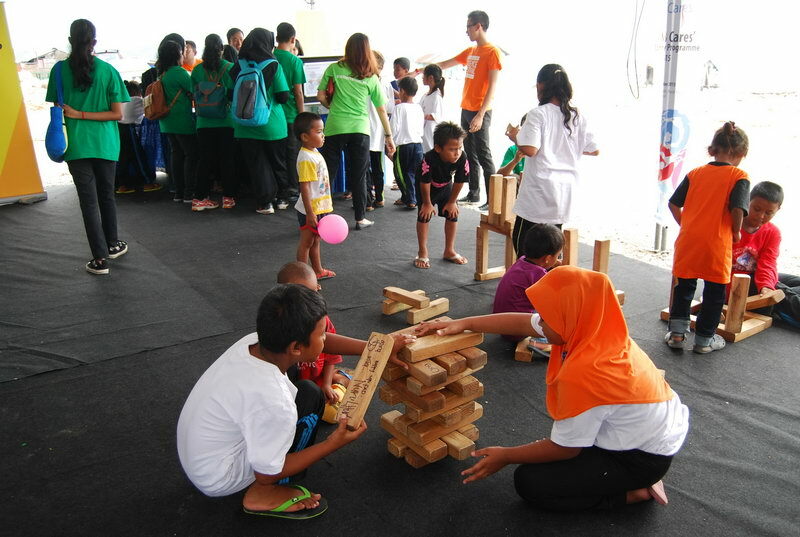 The participants were also having fun with the kids and visiting each of the booths. Later on, the participants were seated with the other MHB staffs and Seletar people to attend the ceremony prepared by MHB. 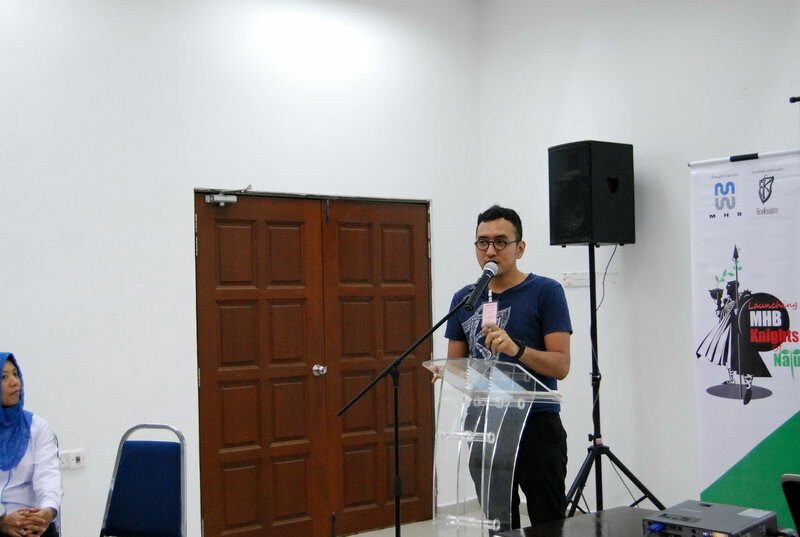 Several speeches were made including Yasmin and the CEO of MHB. The ceremony then proceeded to the handover projects of the aquaponics, in collaboration with PopTani; and water filters to the Seletar community. When the ceremony was over, the CEO of MHB and other representatives came to meet the participants and hear out what did they have to offer. Each group presented their programs and ideas which were well received by them. MHB was impressed with their ideas and took their ideas into consideration for the future of Seletar. The students were then given one final task which was to help the Seletar community to set up their newly donated water filters. The participants were warmly invited into the Seletar homes to assist them. The participants also guided them on how to use and clean the water filter. It was nice to see the smile of the Seletar folks when they finally have the privilege to have filtered and clean water to drink. Day 2 ended with laughter and joy. Numerous pictures and selfies were taken of the participants having fun and assisting the Seletar community. Before saying goodbye, everyone greeted and exchanged contacts, hoping to see each other or to attend the camp together again. From there onwards, the participants went back into the bus and went on its way to bring them back to the training center to go home. It was indeed memorable and enjoyable for the EcoKnights crew as well.